It is the time of year when most people with any interest in the outdoors begin thinking about planting something. The last blog post introduced local farmer, Paul Glowaski co-owner of Dinner Bell Farm, as he reflects on the challenges of starting a farm in the foothills. 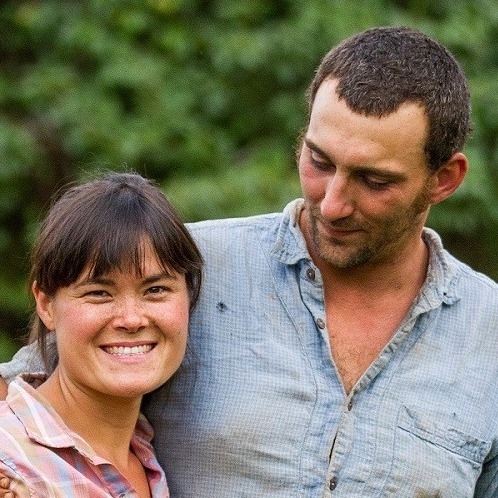 Below we have included a list and additional resources to help beginning farmers understand some of the challenges and become equipped to start their own farm. Land acquisition – check out some of the resources below to connect with networks to assist in acquiring land or use of land. Growth – After acquiring land, consider if the enterprise will have room to grow, or scale up. Will the farm be able to keep up with the product demand on a couple of acres? Market development – Although it may be ideal to start selling agriculture products at the largest Saturday farmer's market in the community, new farms often are required to start at small markets until there is available space and demand for their product elsewhere. There are also many other direct marketing options to consider, such as farm stands, restaurants, wholesalers, and co-ops. Labor – Minimum wage in California is $10.50 per hour this year. Will skilled labor be available at this wage? Quality – Increasing access to agriculture products from throughout the world makes it is extremely important to maintain the highest levels of quality in local markets. Ideals – Most beginning farmers need to work off-farm jobs in addition to putting in the long hours required to make a farm thrive. Glowaski stressed, “Don't feel bad about that - it is a reality to starting a farm in the 21st century. I started farming because I wanted to feed poor people…right now we sell to the very affluent to survive.” Again, farming is humbling, be willing to adapt and change. Cash flow - Seasons are not just for veggies, what will ensure cash flow during the winter/ off season on the farm? If you are feeling discouraged, rest assured that you are in a great community and resources are available to help you, like UC Cooperative Extension's Beginning Farming Academy. Glowaski has worked in the Santa Cruz area, where the cut-throat competitive attitude in the agriculture community did not appeal to his value system. “The reality is we all sell to a small fraction of the community up here.” Some of the value, especially in the foothills, is a general sense of a desire among farmers to help each other. If you are interested in getting to know the local farming community and grow your network of roots throughout the farming community, consider the UCCE workshops and dinners, FarmLink, or join a group such as the National Young Farmers Coalition, the Center for Agroecology at UCSC, or the Farm Bureau. Glowaski warns farmers against only connecting with groups that they completely agree with, “If you aren't at the table, we can't talk about it,” he says with a smile. Be humble and open to conversation and gleaning what you can from those in your biosphere! Once you become established, you may want to join with groups that share some of your core values such as California Certified Organic Farmers or Animal Welfare Approved, like Dinner Bell Farm. Although the challenges of farming may seem insurmountable at times, a true farmers heart has unconditional love for the land, hard work, and a deep appreciation for the success those afford, which are often measured in treasures that can't buy a vacation to the pacific islands! Glowaski's advice, “Go for it!” Be sure to investigate the resources below. Training - Keep a lookout on the Foothill Farming Website for upcoming trainings. Like the Wool Handing and Shearing Management Workshop on May 12th! More information and resources here! Quiz - Should you Farm? – Do you have what it takes? Farm Loan Information - The Farm Service Agency can be a valuable resource for starting a farm including but not limited to microloans. - https://www.fsa.usda.gov/programs-and-services/farm-loan-programs/microloans/index **Click to find a service center near you.